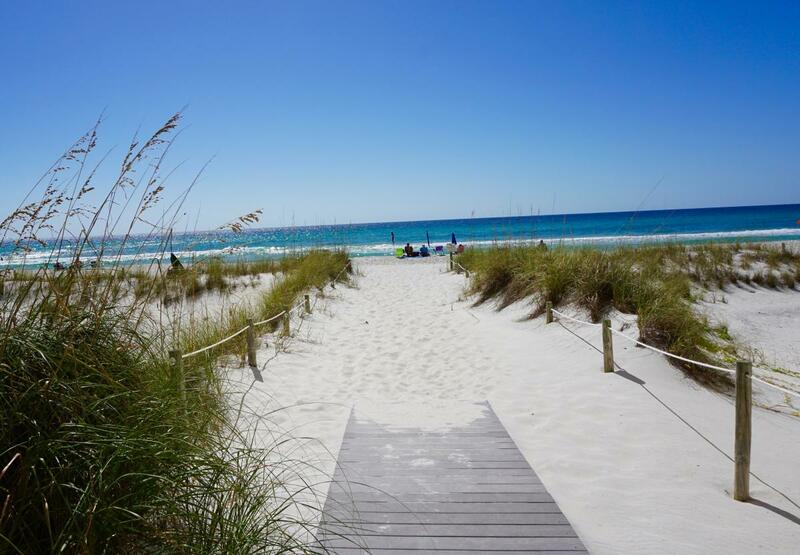 Stay at the best-kept secret beach getaway in Panama City Beach. Our one-bedroom one-bath beachfront condo on one level is rated one of the best at Pinnacle Port Resort Condos, Panama City Beach, Florida. We provide lots of extras i.e., high-speed wireless internet, expanded cable, dishwashing detergent, laundry detergent, dryer sheets, starter toilet paper, paper towels, shampoo, conditioner, liquid hand soap, coffee, coffee supplies, etc. Beach chairs and umbrellas are available for rent daily or weekly on the beach. We also provide beach towels. Enjoy sitting at the dining table, sofa, loveseat or chair or on the balcony and hear the sights and sounds that come to mind when you think “BEACH.” If you were any closer to beach, you would be in the water.